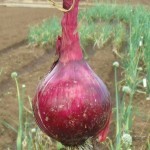 Onion Tropea rossa tonda- Record: the harvest goes on! 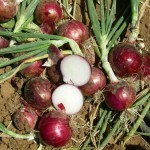 The harvest for bunching onions has started in South of Italy. The onion Tropea rossa has been cultivated for over 2000 years since Phoenicians imported it along the Tyrrhenian coast of Calabria. It has found the finest climate conditions becoming one of most typical products of this Region. The peculiar sweetness is due to the variety selection, to the mild climate conditions during the winter and to the fresh loam soil. 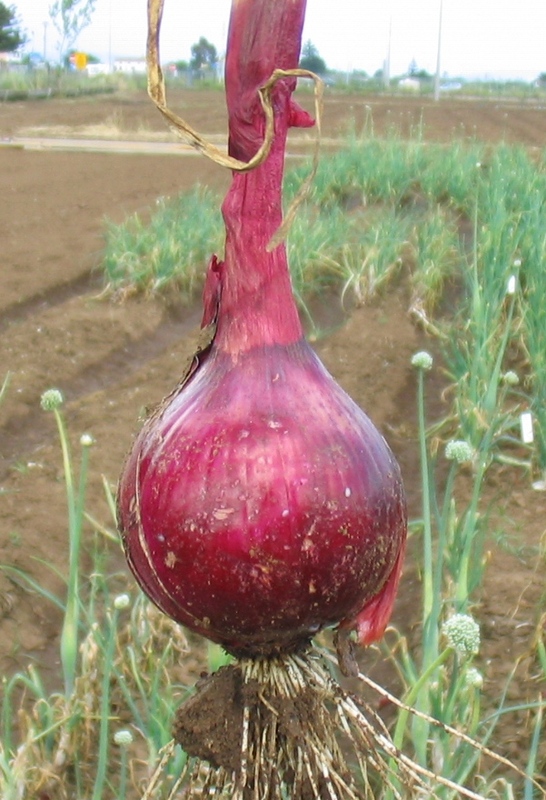 The variety Tropea rossa tonda- Record corresponds to this type of onion, thanks to the dark green and upright leaves, to the round bulb with bright red tunics, and to the white and fleshy pulp. The added value of Record variety is the uniformity and precocity. Sowed at the end of summer, it is transplanted during the autumn for harvest as bunching from spring onwards, when the bulb is cylindrical and not completely ripened. It is suited also for harvest at full ripen when the bulb is big, round and with very bright red tunics. This type of onion has a short shelf life, so it should be consumed within the end of summer, beginning of autumn. Record variety has given excellent performances also in other countries where it is possible to cultivate short day onion for harvest as bunching or complete ripening. It is appreciated for earliness, for the brightness of its red color, and for the sweet taste known all around the world.